#4. 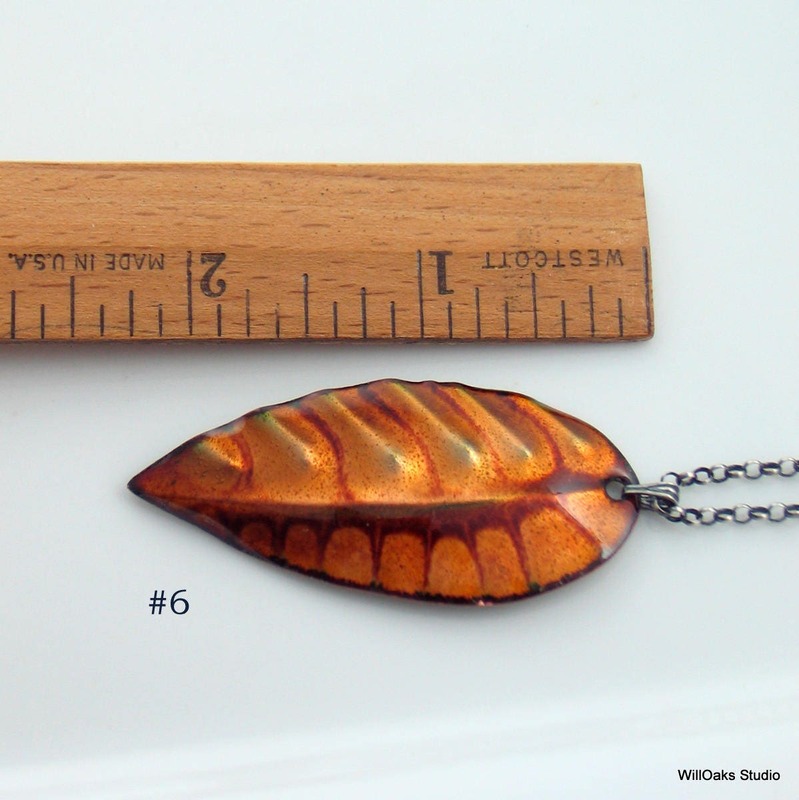 Total pendant length is 1 7/8"; "leaf" is 1 3/4" long x 7/8" wide; Hangs from an 18 1/2" long oxidized silver rolo chain. #5. 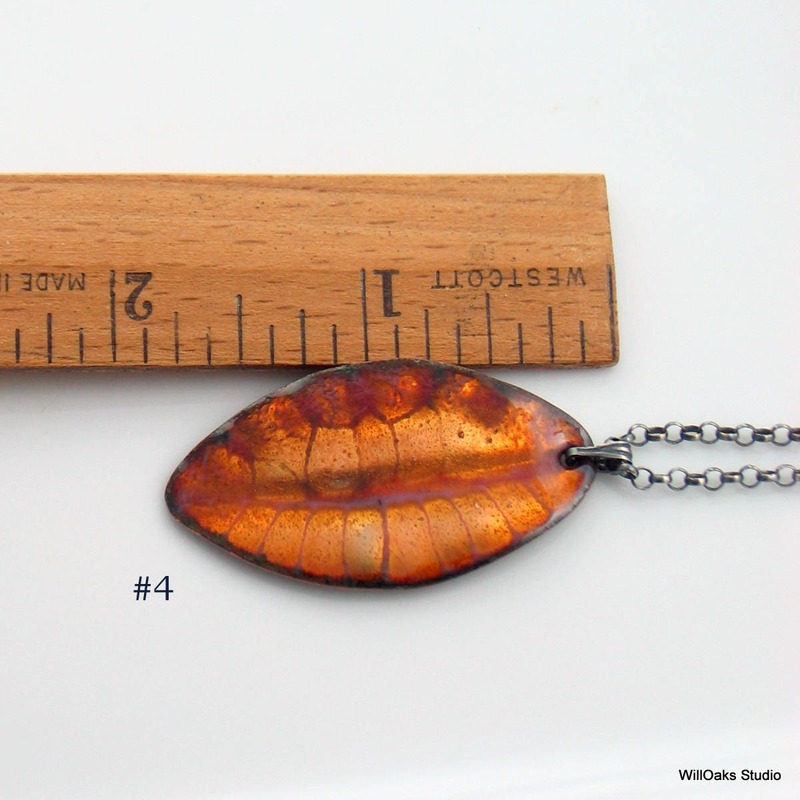 Total pendant length is 2 1/4"; "leaf" is 2 1/8" long x 1" wide; Hangs from a 25" long oxidized silver "long cable" chain. #6. 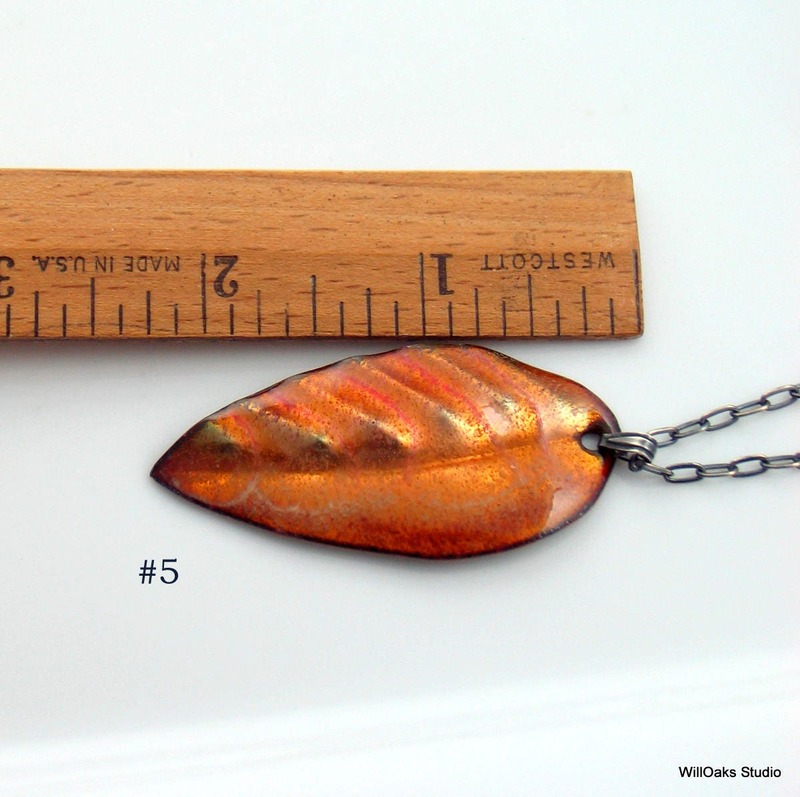 Total pendant length is 2 3/8"; "leaf" is 2 1/4" long x 1" wide; Hangs from a 18 1/2" oxidized silver rolo chain. 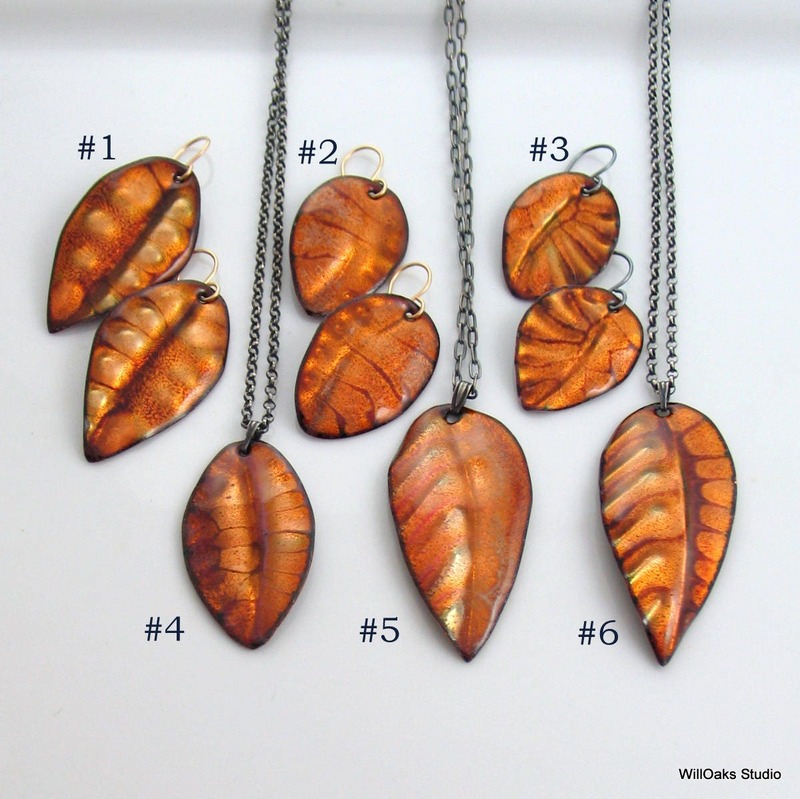 Each pendant includes an oxidized silver bail, and sterling chain, spring clasp and ring to close. 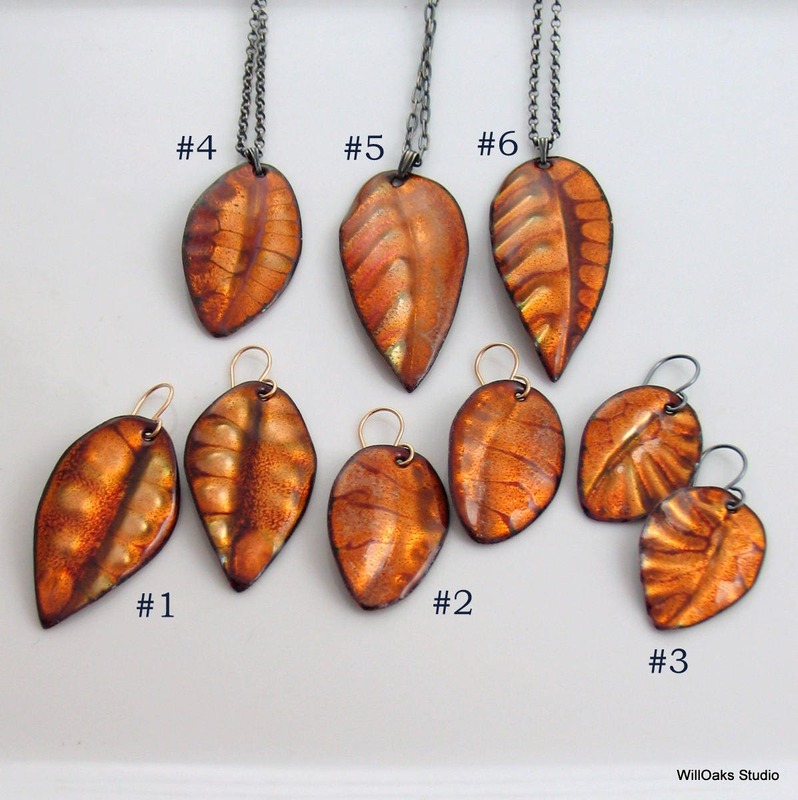 All pendant backs are enameled in complementary glass enamel colors (counter enameled.) Presented in my signature box & ready to gift. 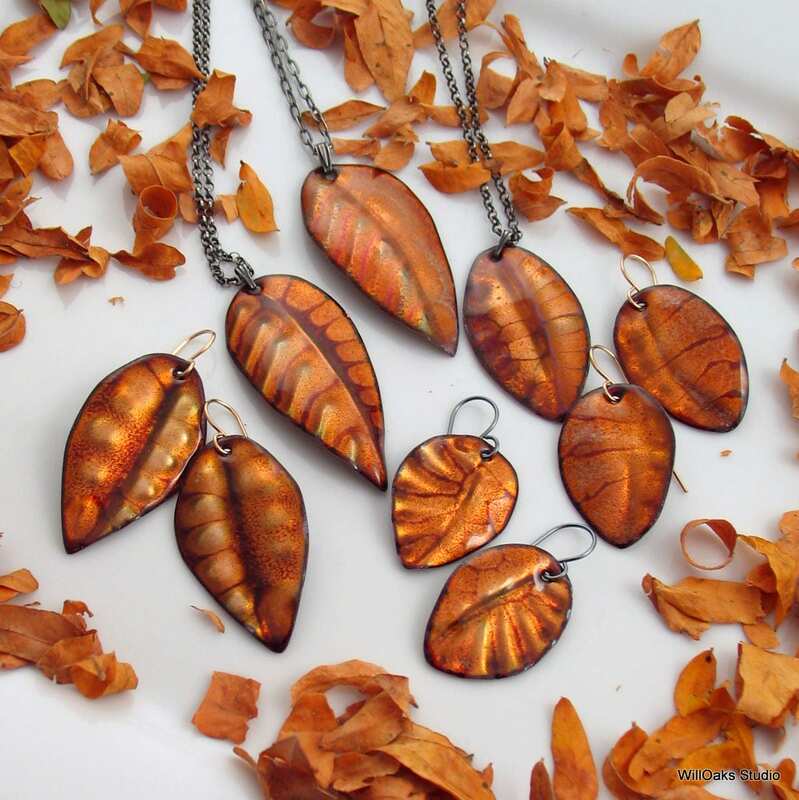 Copper enameling is an ancient craft which features powdered glass bonded to metal under high heat. 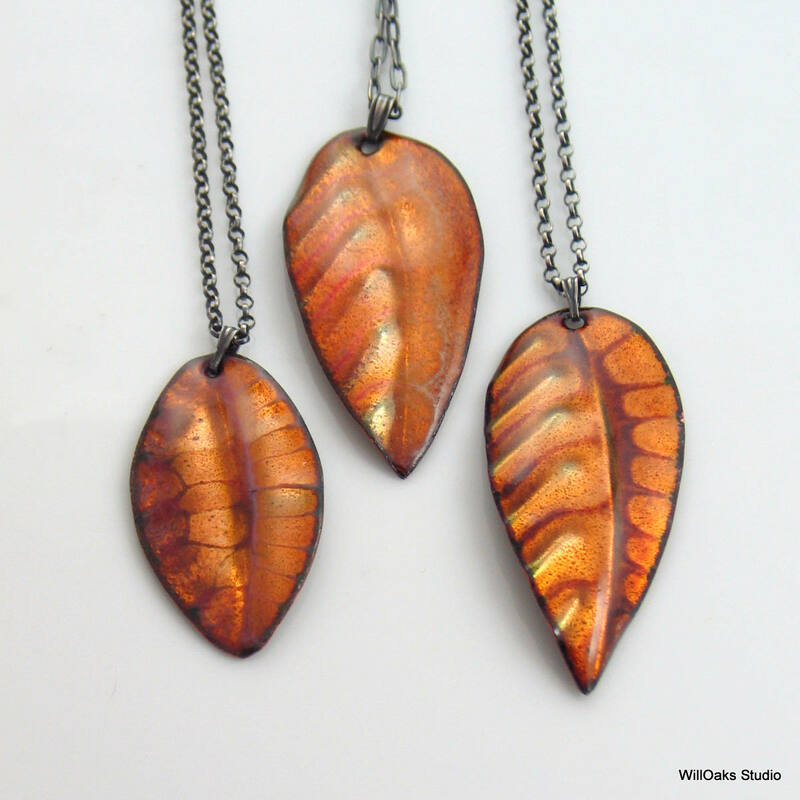 Vitreous enamels are permanent and very durable as the design and color are of glass so will not fade or bleed. 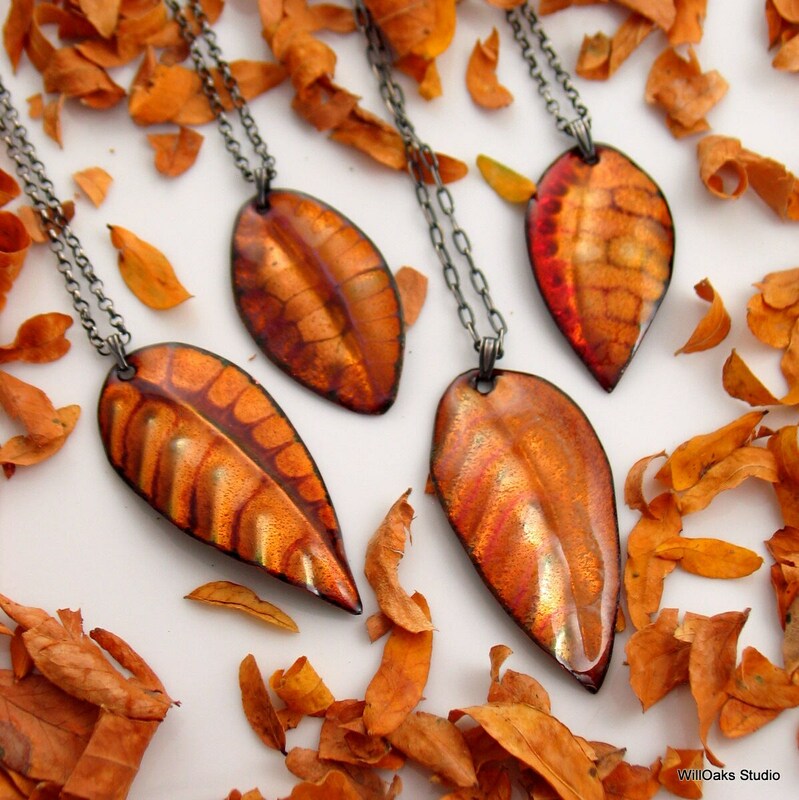 Presented in my signature box & ready mail and to gift.